Is your child underperforming in school even when he/she has similar potentials as his/her fellow peers? Is mathematics becoming difficult to understand even after a lot of focus? All these are not signs of your child being inattentive but he/she may be suffering from particular types of learning disabilities. Quite different from being motor handicapped or emotionally challenged, learning disabilities are more neurological processing inabilities and often go undetected due to the lack of professional guidance. The first symptoms appear during the early years of the schooling phase and the best school in Sonepat will always have provisions to cater to children with LDs. 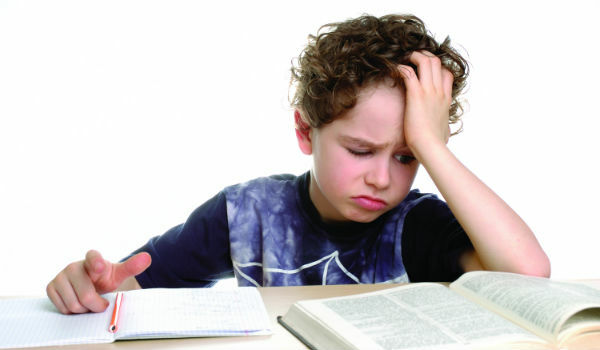 A student may suffer from one or more learning disabilities at a time and the symptoms may appear at different ages. Physicians noticed that LDs are common in children with above-average intelligence and generally take shape in the following types. The student will remain confused with similar looking letters, have trouble with reading fluency or comprehending a passage and even misspell simple words unintentionally. Dyslexia is also known as language-based learning disability where the student suffers from picking up a specific language. Dyscalculia is what affects a student’s ability to improve in mathematics. The child finds it difficult to perform simple mathematical calculations, differentiate symbols or understand their meaning, perform mental calculations or tell time. Anything numerical becomes daunting for the student and naturally, he/she shows poor grades. A student suffering from APD cannot distinguish between closely pronounced or subtle words even when it is spelled loud and clear. Auditory teachings do not help such students to the full extent and they may have problems taking down notes, perceive instructions and follow a specific sound in between chaos. This is the visual counterpart of APD where a student finds it difficult to consume information that is presented to them visually. The child will not be able to separate shapes, show poor hand-eye coordination, have trouble navigating to places and may not distinguish between printed letters. Even drawing and crafts become taxing for a student with this LD. A specific form of visual-motor deficit, students with dysgraphia have illegible handwriting that does not improve in a short span. Such children cannot plan their spacing on paper, lose coordination while writing, are incapable of simultaneously thinking when writing and lack spelling skills, especially during written tasks. Apart from these, children also show a variety of other language processing disorder and non-verbal disabilities which all lead to some form of learning disability. The reality is, specific medical treatments do not exist for LDs but guidance and counseling can go a long way to help such children in their fight against their disabilities. How can we help the students? The first step to helping students with any of the above learning disabilities is its identification. Naturally, the children themselves cannot spell out their troubles. The adults around, parents and teachers alike, must pinpoint the happening, pinpoint it to a disability and guide the students accordingly. Remedial classes – where teachers sit with students lagging behind separately and understand their need. The subjects are then designed to match their learning ability and tasks are set accordingly. Smart Classes – where lectures can be delivered in all the available modes. A student with APD can learn with the help of visual aids on a screen while auditory resources can be made available for children with the visual motor deficit. One classroom can cater to all. Periodic Counselling Sessions – as learning disabilities also tend to affect a student’s regular lifestyle. Through professional guidance, students can develop methods to deal with their obstacles and form schedules to help with learning. Counselors can also guide teachers to help such students in a different way than the standard practices prevalent. The best schools also set up dedicated labs and sessions to help students with language, mathematics and even arts. All these benefit students with LDs to a massive extent and help them to cope with their disability. Swarnprastha Public School, the best CBSE school in Sonepat, have all the above facilities to help their students with possible LDs. The teachers make sure that no student is left behind, identify students with any impending symptom and provide them with everything they will ever need. Learning disabilities do become a part of a student’s life, but with proper help from schools, they do not become a hindrance to education.